A couple of months ago we threw a baby shower for my sister in law. It was an owl theme and my (other) sister in law made these adorable owl cups. We got the idea from these moustache cups. My mother in law has the Wild Card Circut cartridge that had the little owls on it, and we just used some vinyl that she had on hand to cut them out & stick them on the cups. 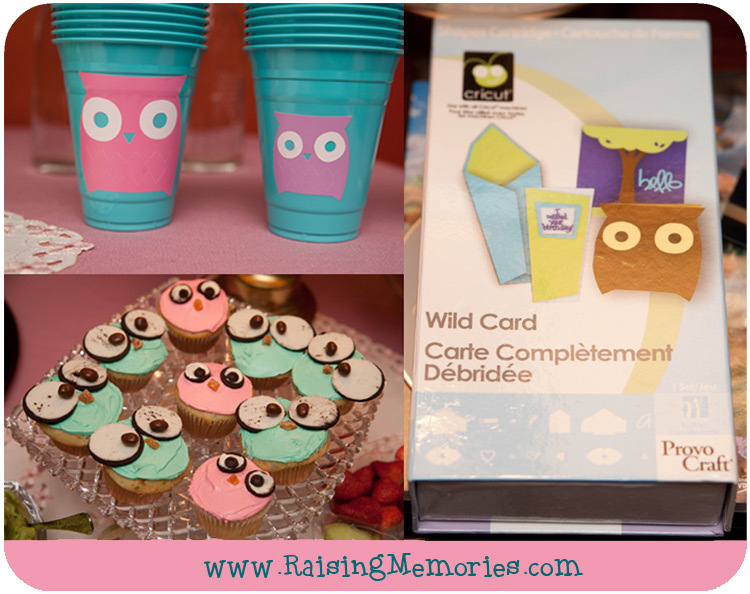 If you're interested in how to make those owl cupcakes, find out here.